These days, microfinance institutions (MFIs) face myriad challenges, both from competition within the industry and from increased public scrutiny and government regulation. This is why it is more important than ever for MFIs to invest in their most important asset: their employees. In a new piece for the Microfinance Gateway blog, Peg Ross, Director of Grameen Foundation’s Human Capital Center, lays out five strategies for MFIs looking to ensure that their workers are mission-focused and successful. 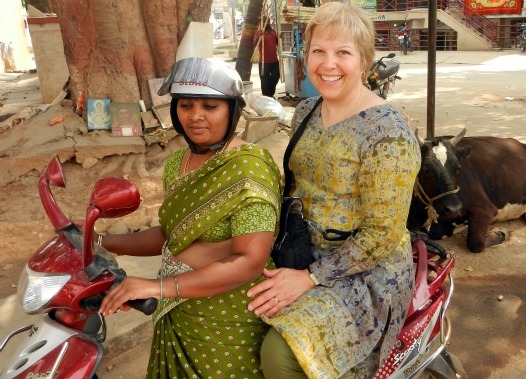 Peg Ross, Director of Grameen Foundation’s Human Capital Center, joins a loan officer from Ujjivan, an Indian MFI, on her rounds to visit clients. Peg points to recent studies showing that people issues are at the core of most of the problems that MFIs face, and that progressive HR policies can lead to significant improvements in productivity. An MFI should start, she says, with an internal HR assessment to determine “what works and what doesn’t work, so that the organization can focus on the right levers for change.” From there, the MFI can create a long-term plan and focus on implementing best practices in everything, from hiring to performance evaluations to the professional development of its people. Read the full post to find out more. Shannon Maynard is the Director of Bankers without Borders, Grameen Foundation’s skills-based volunteer program. Today, Bankers without Borders (BwB) has joined with the Association for Enterprise Opportunity (AEO) to announce a new collaboration to support microfinance and microenterprise development organizations in the United States. This alliance will enable more than 400 organizations to benefit from the skills and experience of our more than 6,300 highly skilled active and retired business professionals in BwB’s global volunteer reserve corps. We are currently recruiting for our first project to support AEO and its members. BwB is seeking a team of volunteers to refine and develop a toolkit that will enable microfinance and microenterprise organizations to better meet the needs of their existing clients and reach individuals presently not served. For more details or to apply, please visit the Bankers without Borders website. Once the toolkit is developed and piloted, we anticipate opportunities for other volunteers to work with microenterprise organizations to conduct a market assessment using the framework designed through this first volunteer project. AEO's new report talks about the job-creating power of microenterprises. In conjunction with today’s announcement, AEO released a report on the state of the microenterprise sector in the United States. 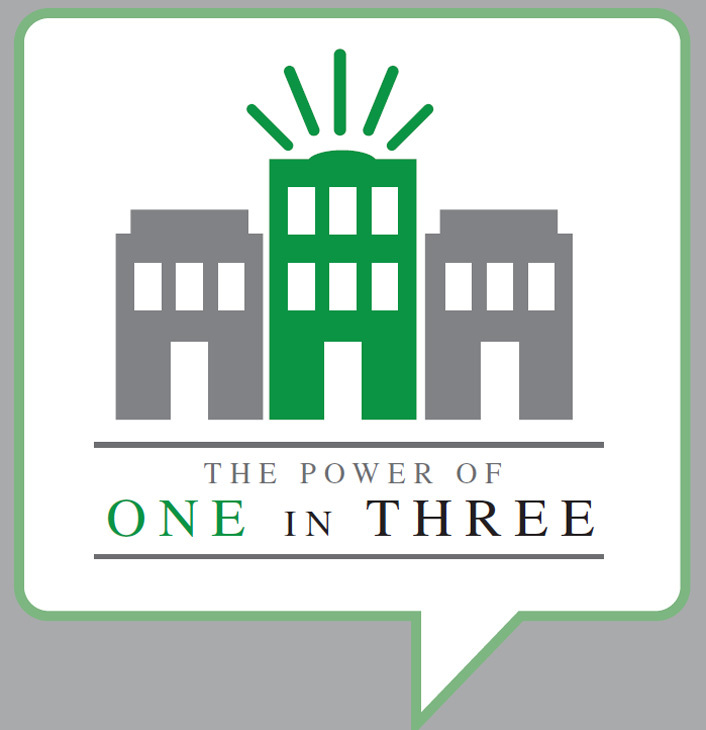 The report, “The Power of One in Three,” frames the powerful role that the microenterprise sector can play in helping the American economy recover and create jobs. As suggested by the study’s title, the findings demonstrate that if one in three microenterprises hired just one employee, the U.S. economy could reach full employment. For more information on AEO, please visit www.aeoworks.org. We believe BwB’s volunteers are some of the best and brightest minds in the corporate sector. For those of you who are U.S. residents, this partnership presents a unique opportunity to help make a difference, both locally and globally. Stay tuned as we keep you informed of opportunities to engage through this new alliance. 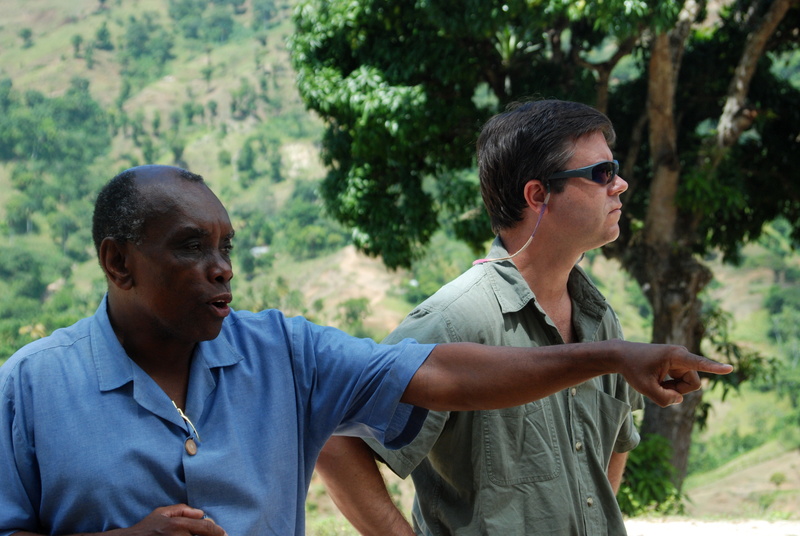 People are at the heart of microfinance — both as clients and as frontline workers. Grameen Foundation’s Human Capital Center (HCC) helps to ensure that the people really making microfinance happen in the field get the support and guidance they need to work to the best of their abilities. In a guest piece for the Center for Financial Inclusion’s blog, Peg Ross, HCC’s director, discusses the challenges facing front-line workers and our plans to work with socially-focused microfinance institutions in India to help that sector rebuild. Stephanie Denzer is Program Associate for Grameen Foundation’s Human Capital Center (HCC). This is her second blog from a recent trip to Peru where she participated in a Human Capital Management Assessment of an MFI in the process of transforming into a regulated institution. Her last blog post focused on Cultivating Leaders and Empowering Organizations, and in this post she follows a loan officer to a group meeting of several microfinance borrowers. When I arrived in Pucallpa, Peru, I had worked in the microfinance sector for over a year without having seen in practice what I support daily from our DC-based offices. 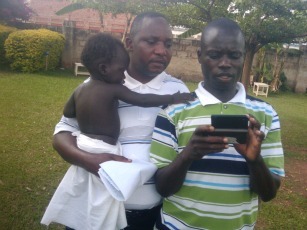 I was soon heading out on the back of a motorcycle taxi to a village bank meeting for clients of Microfinanzas Prisma. Bouncing down a dusty dirt road to the home of one of the clients where the monthly repayment meeting was being held, we followed Ramiro, one of Prisma’s loan officers, on his motorcycle as we traveled out of the central part of this city of about 300,000 in the country’s Amazon region. I was in Peru to assist with the implementation of Grameen Foundation’s Human Capital Management Assessment tool. See my previous blog post for more information on how we are working to help MFIs better meet their missions of serving the poor. We were accompanying Ramiro to the field because we wanted to see what it’s truly like to walk in the shoes of one of Prisma’s more than 100 dedicated loan officers. We arrived at the home of Dacia, who serves as president of this village bank group of 18 local women. Our visit came just a few days after her group had celebrated its fifth anniversary. 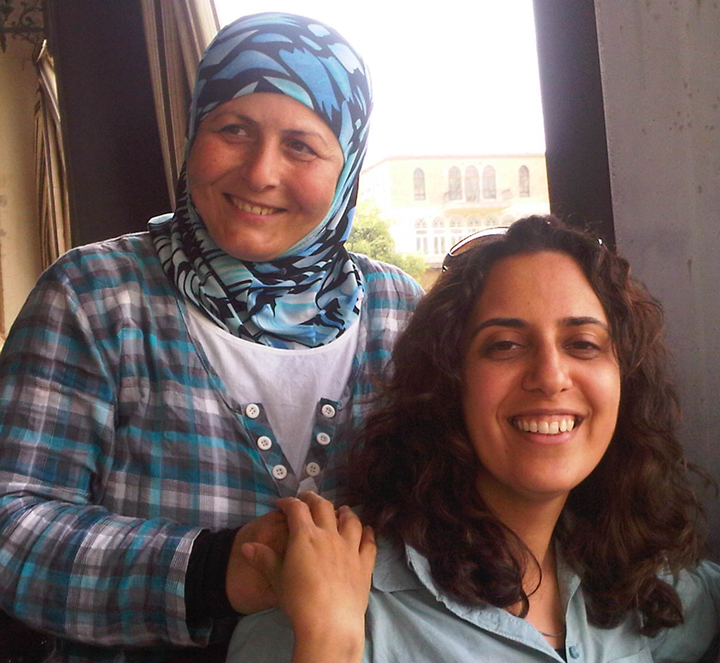 Dacia herself has gone through 10 different loans since the group began on July 12, 2005. She has used her credit from Prisma to purchase a small boat in which she transports timber from family land further upstream on the Ucayali River. 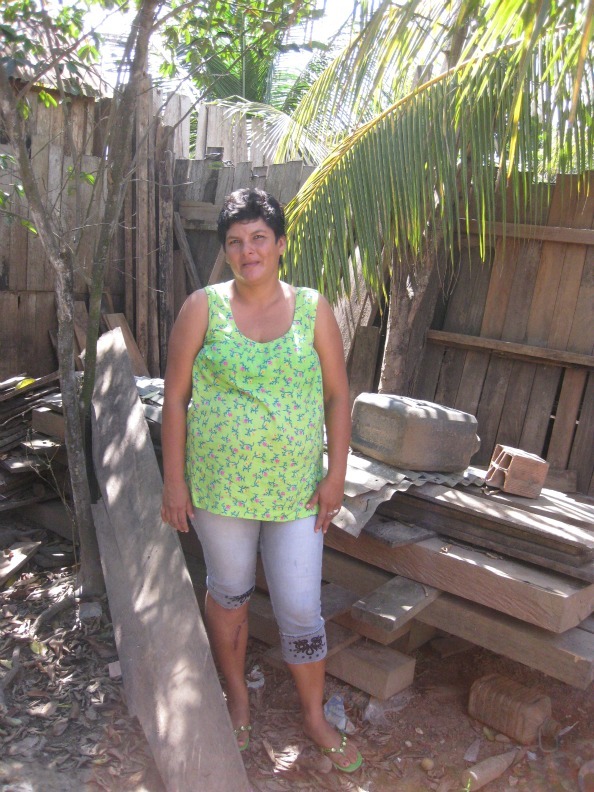 She sells this timber for a profit and with a bit of bashful pride, told us that because of the profit she’s made, she was able to move from a small wooden house into the larger, sturdier concrete structure where the group was meeting. Stephanie Denzer is Program Associate for Grameen Foundation’s Human Capital Center (HCC). This is her first blog post from a recent trip to Peru where she participated in a Human Capital Management Assessment of a Microfinance Institution (MFI) in the process of transforming into a regulated institution. On a day when the humidity made it clear that rain was imminent, in the rear of a small branch office in Aguaytía, a rural town in Peru’s Amazon, we spoke with John, a branch manager for Microfinanzas Prisma, about a concept that would be just as familiar in an air-conditioned high rise of corporate America – the importance of having an inspiring mentor as a supervisor. John told us about how his former boss, the previous branch manager, had cultivated a group of highly dedicated and engaged loan officers by constantly discussing their performance with them and making sure they had the necessary support to accomplish their daily work. Now that he has been promoted to this same position, he works hard to maintain the team camaraderie his predecessor built and ensures that each loan officer receives special recognition when going the extra mile to support the branch office’s goals.